Unlock a wealth of color with this princely pigment. Rich in texture, this highly saturated purple will granulate to reveal shades of plum and ultramarine. 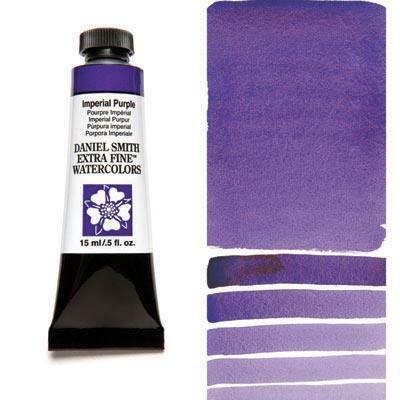 From the deepest purple, this semi-transparent and low-staining pigment continues to deliver as it is applied in ever more delicate washes to the palest lavender. Give a stand of garden Irises the royal treatment, or kiss the sunset with the softest touch. This regal pigment is palette royalty.